The 2018 Toyota Prius “Remains A Hybrid Benchmark,” Toyota is quick to remind us. This is not just marketing puffery or corporate bragging. The little guys are amazingly fuel efficient, and since they were pretty much the first to market, they’re the yardstick against which other hybrids are judged. And good on Toyota for not resting on their laurels. They’ve updated the Prius with all the modes of the day – comfort, convenience, safety etc. – but have also upped the drivetrain. The latest version of Toyota’s Hybrid Synergy Drive has a 1.8-liter four-banger and two motor/generators with an electronically-controlled planetary-type CVT. There’s shift-by-wire tech to select, er, “gears” via the dash-mounted shifter. Regenerative braking recovers kinetic energy, turns it into electrical power, and stores it in the battery pack. 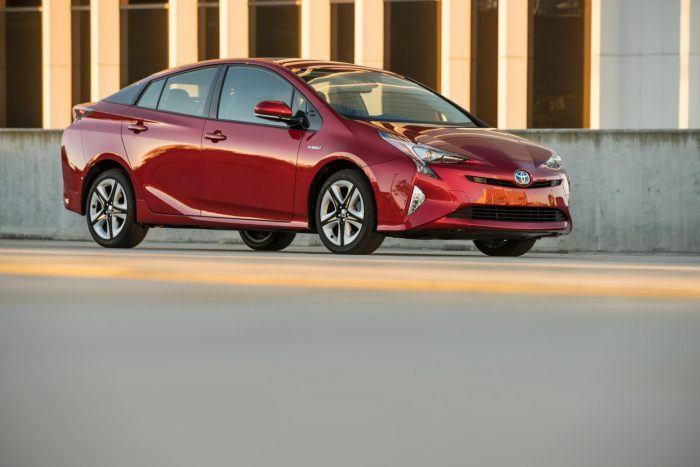 In this, the fourth-gen Prius, the hybrid components are smaller and lighter than before. The battery is now a lithium-ion unit, replacing the outgoing nickel-metal hydride battery, and is small enough to fit under the rear seat. The 2ZR-FXE 1.8-liter engine is more than 40 percent thermal efficient and quieter than the previous gen’s plant. Add all this up, and the 2018 Toyota Prius Two Eco gets you an EPA-estimated 58 city / 53 highway / 56 combined, which is pretty staggering. 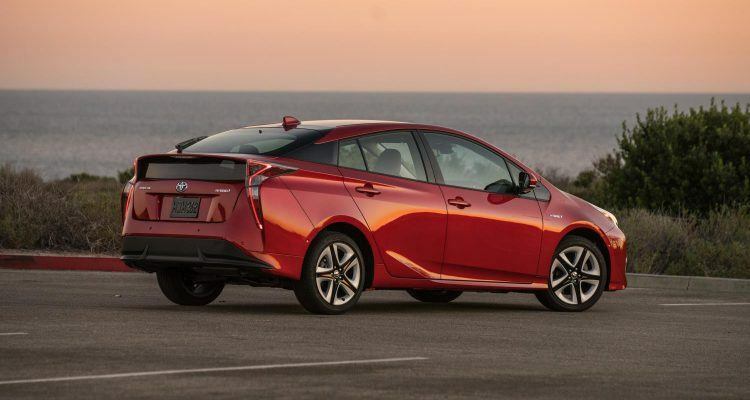 The 2018 Toyota Prius has a 0.24 coefficient of drag (Cd), among the lowest of current passenger cars. Photo: Toyota Motor Sales, U.S.A., Inc. The interior features dual 4.2-inch, full-color TFT multi-information displays controlled via steering wheel buttons. This display provides a variety of readouts through “Simple” or “Segmented” modes. Simple mode shows vehicle speed, the remaining fuel, drive mode indicator, outside temperature, odometer, and cruising range. Segmented mode gives more detail about hybrid operation, such as instantaneous fuel economy. It shows the battery charge state and gives a bunch of ECO functions to encourage efficient driving habits. There is also a display showing the status of the on-board safety systems. The Smart-flow mode for the AC system directs airflow only to seated occupants to conserve energy and maximize comfort. The windshield glass is heat-insulating IR-cut and substantially reduces the transmission of infrared rays, according to Toyota. 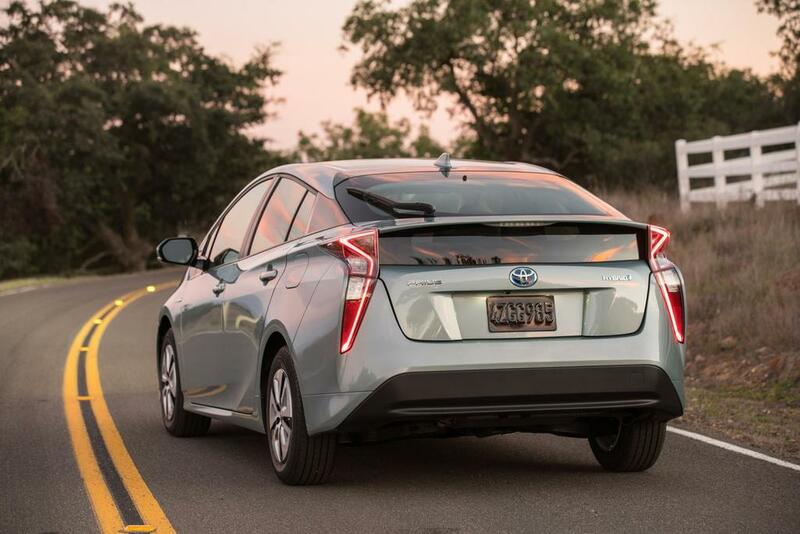 Because the Prius can operate in battery mode alone, a Vehicle Proximity Notification System alerts pedestrians and cyclists. A small, in-vehicle speaker emits a low but noticeable tone when traveling below 15 mph. The sound changes with speed. Photo: Toyota Motor Sales, U.S.A., Inc. The Entune system wirelessly charges Qi-compatible phones and other devices. The standard Entune Audio system on the Prius One, Two, and Two Eco includes a Multimedia Bundle with a 6.1-inch display. The package includes an AM/FM CD player, auxiliary audio jack, USB 2.0 port with iPod connectivity, voice recognition, hands-free phone functions, and music streaming via Bluetooth. Toss in Siri Eyes Free for good measure. The Prius Three and Prius Three Touring trims enjoy Entune Premium Audio with Integrated Navigation and Entune App Suite: a seven-inch high resolution touchscreen with split display, HD radio, HD predictive traffic and doppler weather overlay (nice! 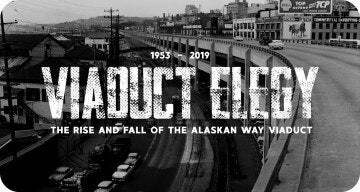 ), AM/FM cache radio, SiriusXM, and Gracenote album cover art. The Prius Four and Prius Four Touring grades include an 11.6-inch high-res screen. These models get an Entune Premium JBL Audio system with 10 JBL GreenEdge Speakers in six locations. In total, the 2018 Toyota Prius is available in seven grades. If you’re an utterly inept driver that has trouble parking, the 2018 Toyota Prius can park itself. Intelligent Parking Assist uses ultrasonic sensors to automatically steer your Prius into, or out of, parallel and perpendicular spaces. Toyota’s “Intelligent Clearance Sonar” provides warnings if the driver gets too close to things on the vehicle’s sides. And all of this efficiency is covered by a 36-month/36,000 mile general warranty, with 60 months for the powertrain and 60,000 miles against corrosion. The hybrid-related components are covered for eight years or 100,000 miles. 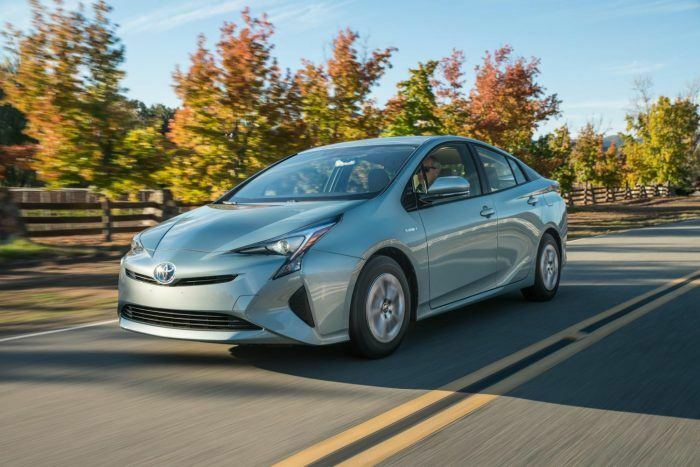 No Comments on "2018 Toyota Prius: Still Frugal After All These Years"